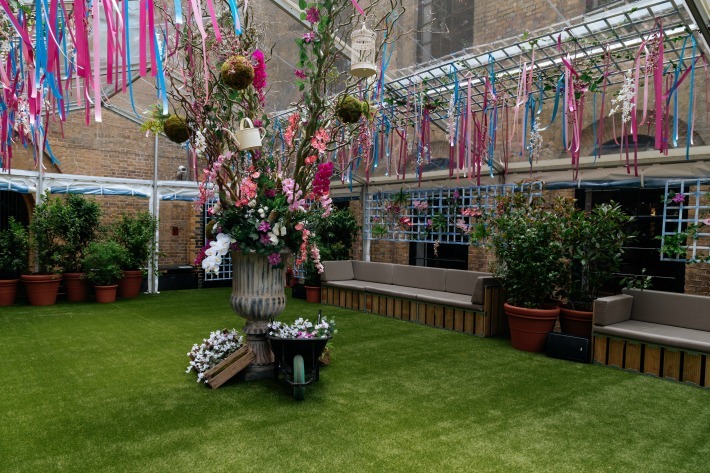 On our Instagram bio we state, proudly: “The most amazing team of event and corporate florists.” This may sound a tad OTT, but we really do mean it! They. Are. Amazing! Not a week goes by when I don’t feel a sense of almost maternal pride whilst listening to the fabulous Hybrid staff chatting about their projects with such great enthusiasm and energy. In fact, each member of our 14 strong clan contributes something individually wonderful and eclectic which, when combined, forms the very essence of Hybrid. Together, we form the most amazing team which, for me at least, has become even more than that: it’s an extended family, full of people you actually choose to spend time with, each with their own talent and personality. 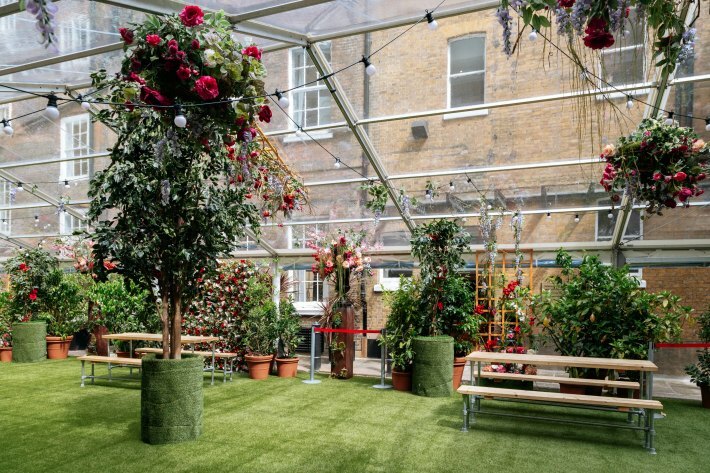 We caught up with three of our most long-standing Hybrid Heroes whilst installing designs at a recent English Garden summer installation at The Brewery in the City of London. 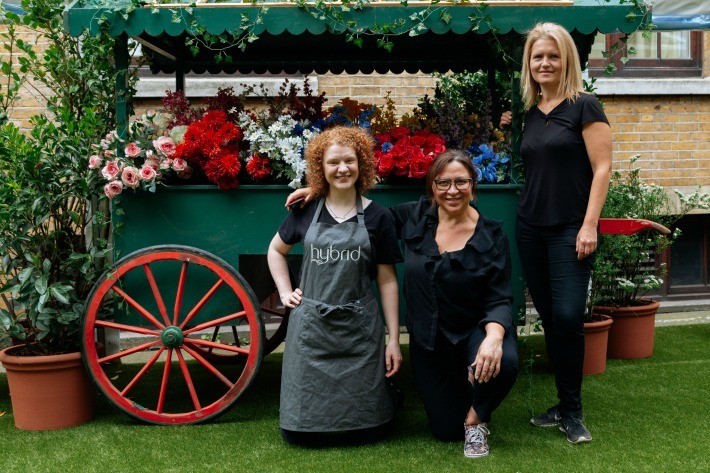 I wanted to ask them what made them become florists in the first place and if they have any words of wisdom for people thinking of a career in floristry. Do you think you were destined to become a florist? 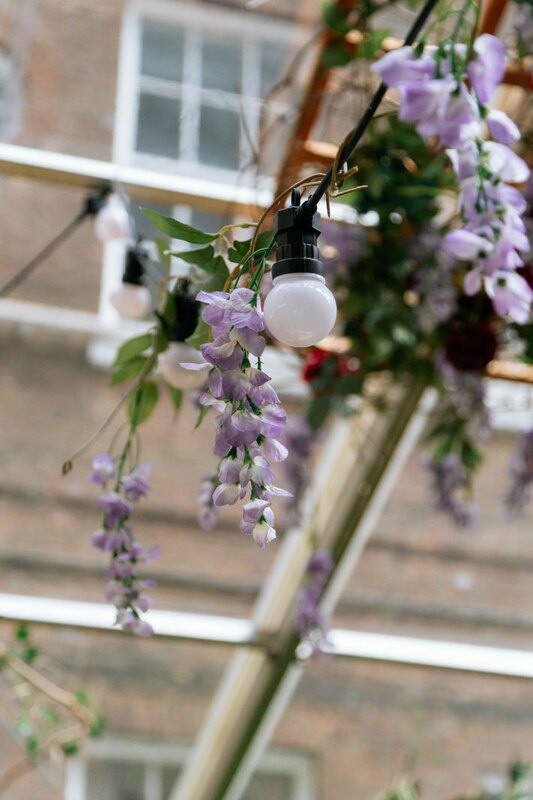 Creating something memorable from flowers has always been in Liliana’s blood, ever since she and her brother would play outside as children in the countryside in Cordoba, Argentina, where they would make little characters from the seed-heads of clematis flowers. For Fee, it was a childhood spent playing outdoors in Yorkshire where she would pretend to be a presenter on a TV cookery show and use piles of leaves decorated with flowers as food! 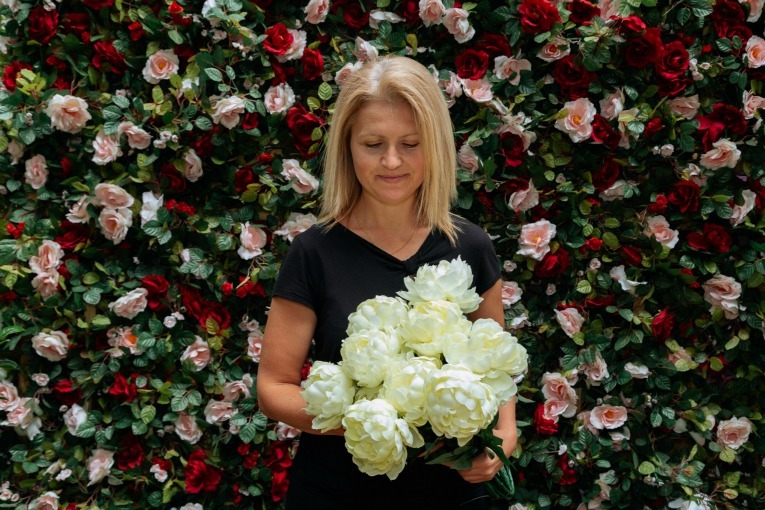 From an early age, Gabs, was drawn to the beautiful enticing and fascinating flower shops in her home city of Budapest. Both Gabs and Fee chose to study Horticulture directly upon leaving school. Fee studied for three years at Leeds City College which for her was a welcome change from the formal dynamic of classroom learning. For Gabs, ‘horticulture’ was the first word that jumped out at her when she opened the book of careers given to all Hungarian 14 year olds at her high school. She went on to study six years of Horticulture at University in Budapest. 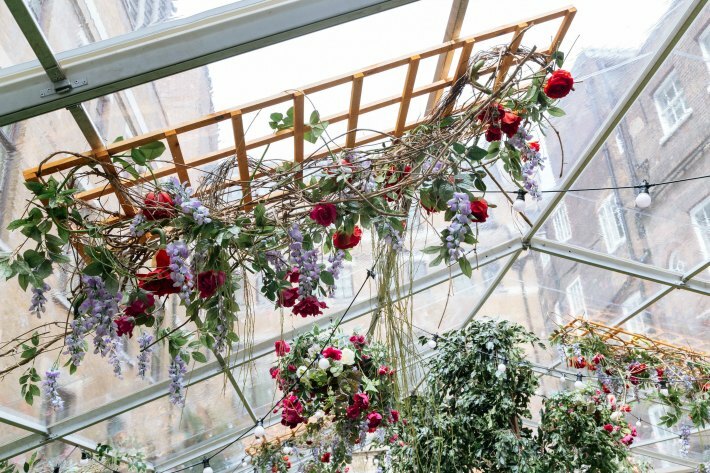 Coincidently, both loved learning the Latin names for plants and the design aspect of their courses before deciding to specialise in floristry inspired by the flowers they had been taught how to grow. 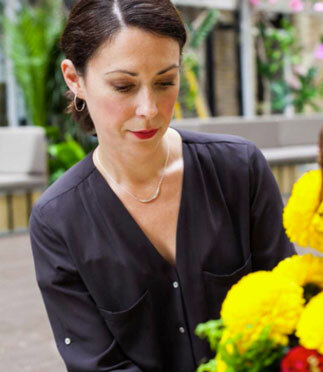 Liliana travelled all over the world before moving to London in her thirties where she was inspired by her then house-mate to study on a 3 year floristry course at Southwark College. 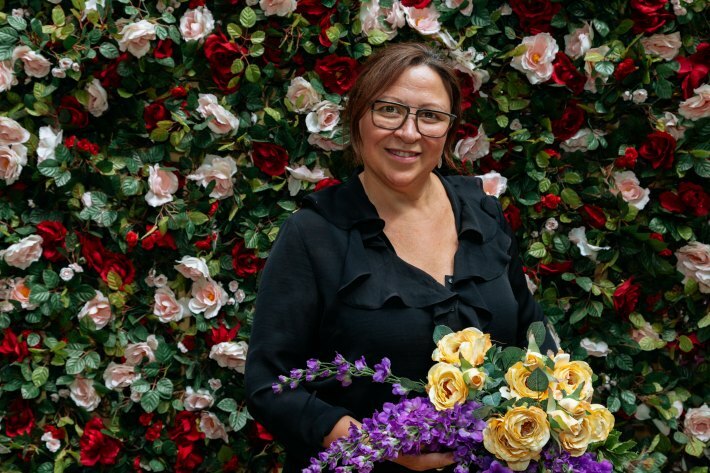 The alumni from the 2003 graduation year is one to be proud of, including flower experts and florists such as Rona Wheeldon, founder of Flowerona, Rafael Ballesteros, Manager of Galton Flowers and Mary Woolcot the owner of Windmill Flowers. Liliana’s tutor proudly stated that it was a very competitive year! 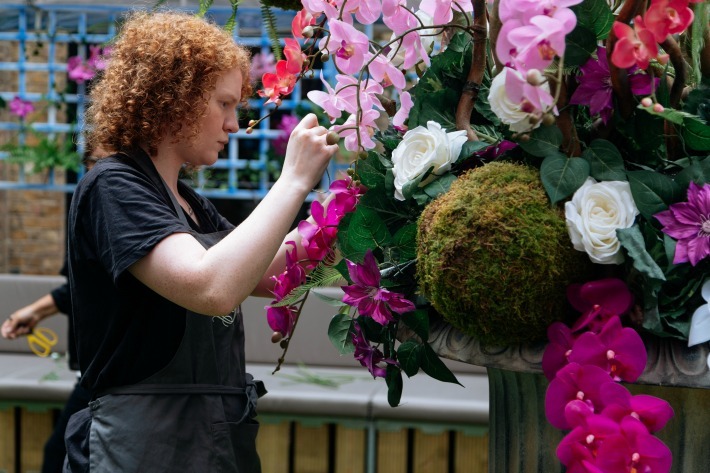 The first question we are always asked by people thinking of moving into floristry is, is it worth going to college? All three whole heartedly agree that yes, you need to have a sound knowledge of the basics. 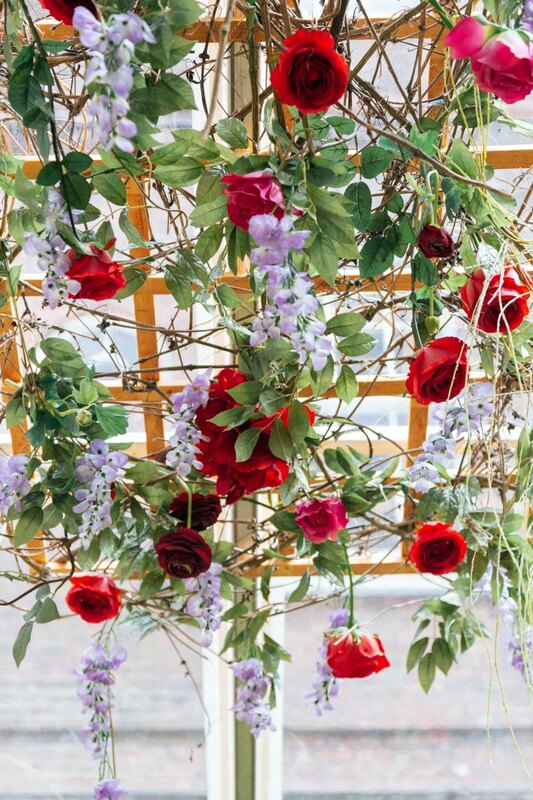 For me, it was the most amazing thing I could have done as it opened my eyes to different forms of floristry and you need to have that knowledge to be professional. Studying allows you to be the very best you can be. 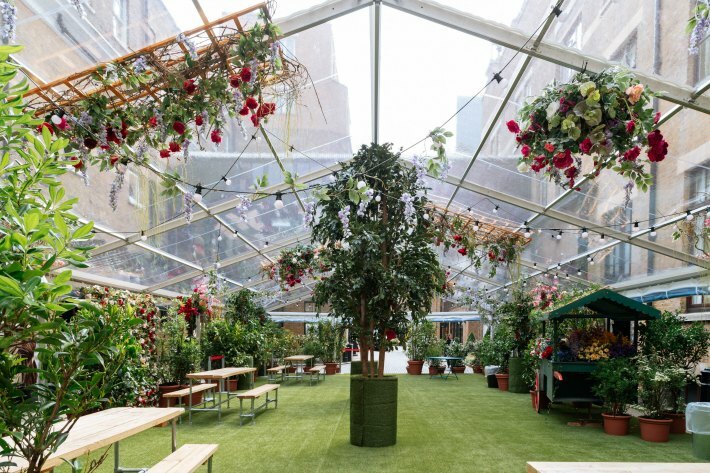 Upon leaving college, Liliana and Fee, were given lucky breaks by wonderful flower shop managers in London who believed in giving good college graduates a chance; they never looked back! Do you still love flowers after all these years? Liliana jokes that her hands certainly don’t! But all three agreed that they still love flowers. Liliana loves growing her own and using them in her house. 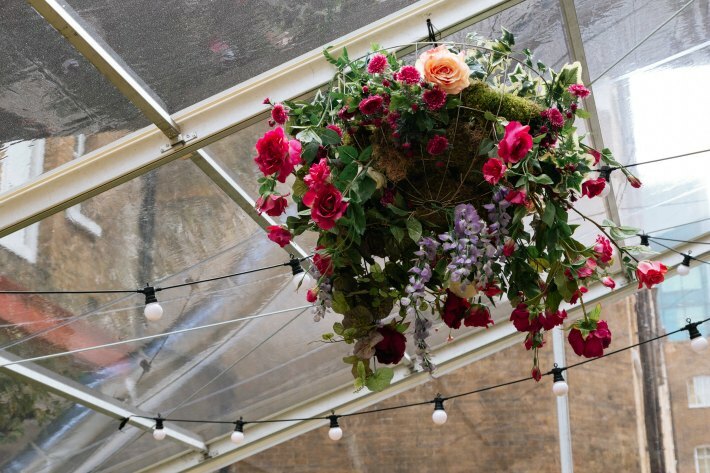 Fee explained that there are always new flowers emerging in the industry which make you fall back in love with the simplest flowers that you have used for years. 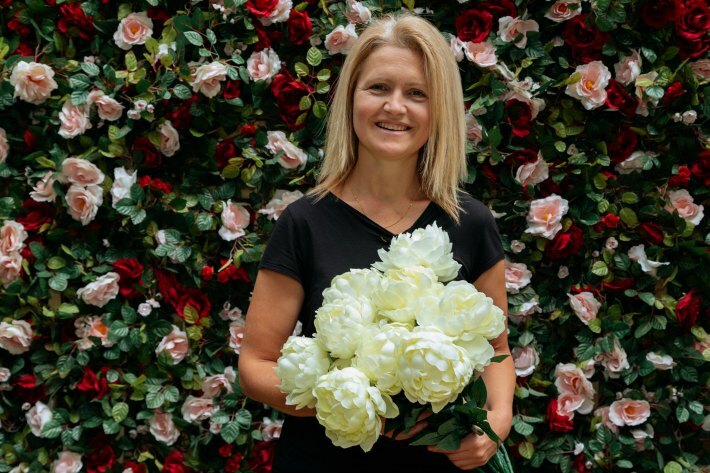 Her passion is always sparked by new varieties of old style flowers such as the quirkiest varieties of carnations called ‘Nobbio Violet’ and ‘Peach Extazis’. We asked what each would be doing if they weren’t working in this mad floral world? For Liliana, it would be something crafty or artistic, perhaps fine art whereas for Fee, as well as creative writing, she would be immersed in history, delving into myths and legends and the history of ancient buildings. 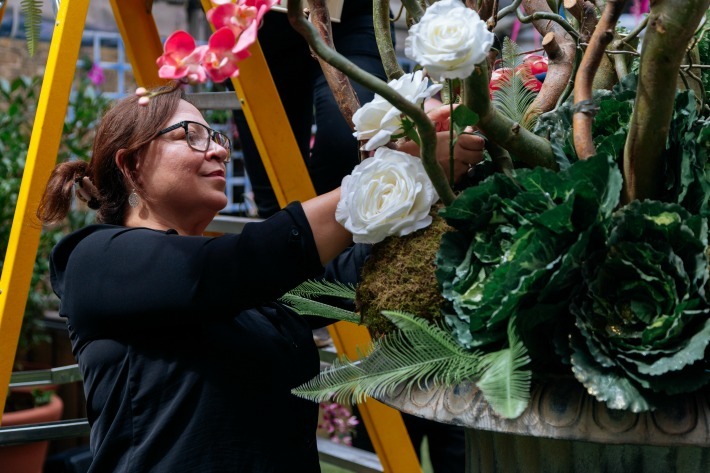 Which is why she always volunteers to install event flowers at some of our most historical London venues such as Merchant Taylors’ Hall, St Paul’s Cathedral and The Queen’s House, Greenwich! Gabs however, would have liked to study Microbiology, especially creating new flowers, or an architect! 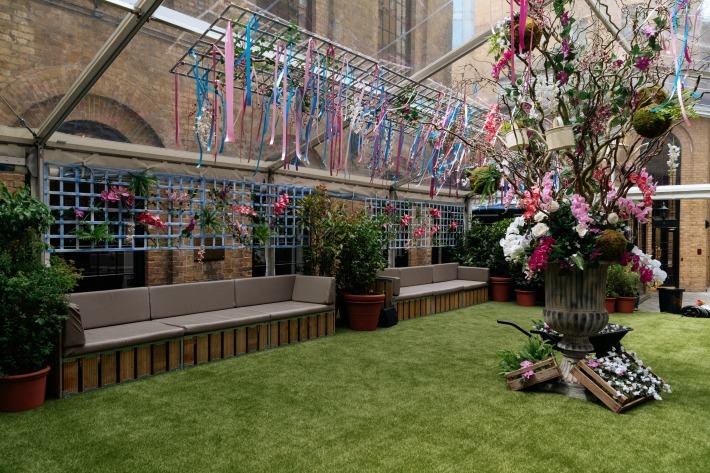 Do Gabs, Liliana and Fee have any tips for people considering a career in floristry? Gabs advises to never stop learning, make everything as if you were making it for yourself and keep the passion. The industry is so intense that once you stop loving the industry, you will leave, so keep the passion alive! Listen and learn from the experienced florists, they will teach you new tips and tricks. Each florist, each shop and company does things differently absorb it all and you’ll find what works for you. It is very creative but you can never rest on your laurels. 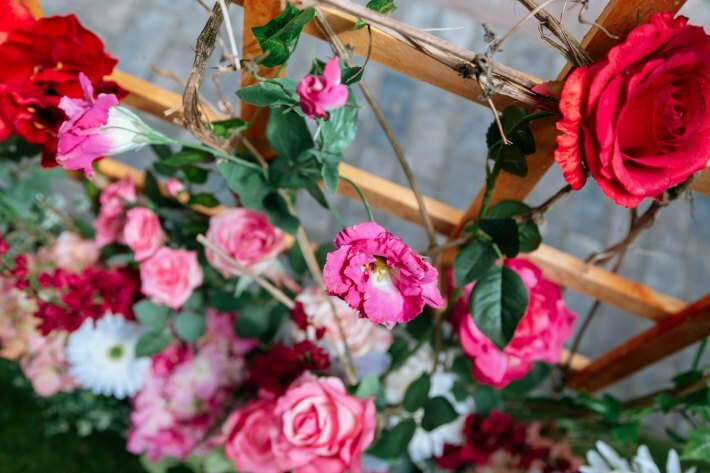 If you work in the flower industry, keep in mind that it is one of the hardest environments to work in as your product is perishable so you must always be thinking of ways to sell your creations. It is never boring! It is one of the only professions where you will be continually thinking, prioritising, calculating, selling, creating, physically lifting and moving, driving, liaising, marketing, planning, drawing, presenting and writing and that’s before touching any flowers! Made up of individuals, Hybrid, is more than the sum of its parts: our combined experience means that we can always ask each other for advice or run new ideas past one another and there are moments of sheer joy when we sit down and simply chat, talk about the old times, discuss philosophies of life and learn something new about each other. 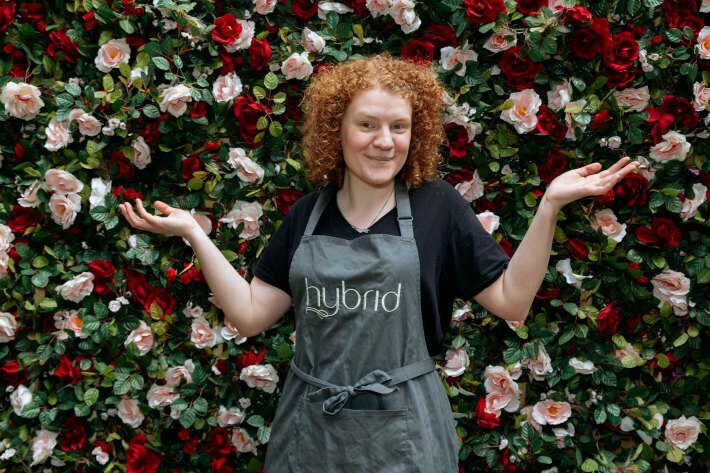 We hope you’ve enjoyed learning a bit more about the Hybrid Heroes and we are always happy to answer any questions you may have about a career in floristry.